On a Sunday morning, some reading that is all about taking charge of your health, getting results and protecting your future. This is the introduction to the BloodSugar101.com website, it will open in a new window. The focus of this particular article is controlling blood sugars when you have diabetes. In her new book, Diet 101, Jenny provides the reasons why every person should be aware of their blood sugar health, even if they do not meet the lab test cut-off values that are used in the diagnosis of diabetes or pre-diabetes. 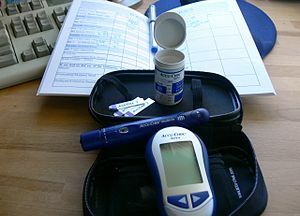 She covers how to understand your blood glucose (“sugar”) test results and then what you can do to claim your health. Sunday is a good day for stories of hope and inspiration. If you would like to inspire others with your personal story, but don’t want to do this on a blog, Tumblr, etc, a good option is Ancestral Weight Loss Registry (listed under LINKS). “People need to do what works for them.” How do you find out what works best for you. Diabetes is a disease of carbohydrate restriction. The first thing to try is to keep carbohydrates as low as possible. If that doesn’t work, you might want to try something else but it is always good to start with the science. As Dr. Eric Westman put it: At the end of our clinic day, we go home thinking, “The clinical improvements are so large and obvious, why don’t other doctors understand?” Carbohydrate restriction is easily grasped by patients: because carbohydrates in the diet raise the blood glucose, and as diabetes is defined by high blood glucose, it makes sense to lower the carbohydrate in the diet. 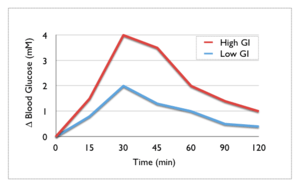 By reducing the carbohydrate in the diet, we have been able to taper patients off as much as 150 units of insulin per day in 8 days, with marked improvement in glycemic control-even normalization of glycemic parameters. 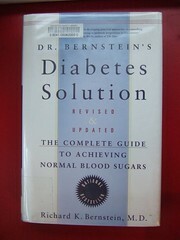 Read more at http://www.inquisitr.com/193759/diabetes-a-growing-threat-with-no-single-dietary-answer/#Hk7Sl0wpw3xtP5Eh.99. (I believe he meant to say “Diabetes is a disease of carbohydrate intolerance”).